Working Mom Guilt – We Are Over It! Let’s talk about working mom guilt shall we? 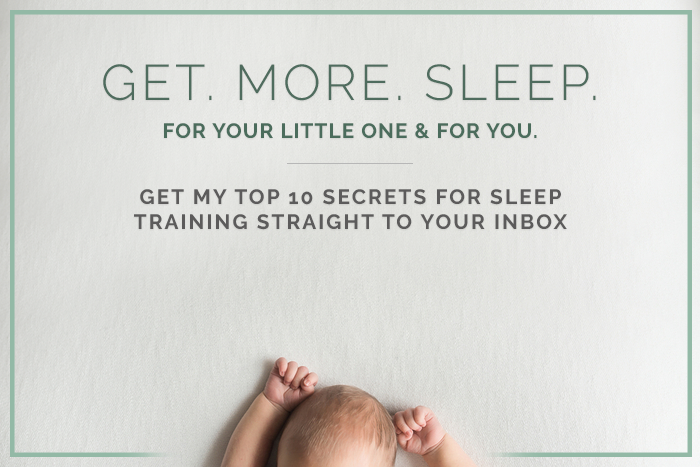 Due to the nature of my work, I spend a lot of time helping working mothers manage their children’s sleep. One of the highlights of my job is getting to know women in all sorts of varied positions. I’ve worked with a breast cancer researcher, a pediatric oncologist, an A-List wardrobe stylist, a 9-1-1 dispatcher, and too many attorneys, physicians, accountants, teachers, and project managers to count. Depending on each individual mother’s circumstance, some experience a very high level of working mom guilt. Surprisingly to me, however, many of my female clients who work outside of the home (sometimes secretly) embrace their working mom status. My own trajectory as a working parent is very unique. I entered my relationship with my spouse fully intending to be a stay-at-home-mother. When I met my husband in college he had dreams of becoming a Spanish professor. After doing a little bit of research and chatting with my own professors, I realized that being a professor is often a lowly paid career (at least at first) in the rapidly changing world of education, and that we would likely have to frequently or permanently live in rural or far-off areas where my husband could find work. That was not going to fly for me, so my 21-year-old self told my 23-year-old, soon-to-be-husband that he would have to pick another job because I was 1. Not going to work once I had kids, and 2. Not going to be poor. I’m not proud that I did or said that, and I also don’t believe in lying about one’s past, so there you have it. I thought I wanted to have four children, live in a big house, volunteer at my kids’ school, and make being a mother and a wife my number one, full-time job. My husband was in his second week of his second year of law school at Columbia when I gave birth to my first child, Olive. She joined our family in September and before I knew it I was trapped in a small apartment during a bitterly cold winter, desperately trying to deal with crippling postpartum anxiety by forcing my often uncooperative newborn to take long naps on a schedule. I realized very, very quickly that I was not cut out to be a full-time, stay-home parent (and to be fair, sometimes I feel I’m not even cut out to be a working parent, or a business owner, either). It was not easy to articulate it back then, but now I realize I received little fulfillment or meaning in the day-to-day tasks of caring for a child. I have always taken my role as a parent very seriously, and I believe anyone who knows me or my children can attest to the fact that I fiercely love my children, and routinely sacrifice my own well-being in order to put them first. But the day-to-day tasks of raising Olive were simply miserable for me. I poured my energies into helping other women online (mostly in sleep training forums – yes, there is such a thing!) troubleshoot their children’s sleep, and before long I launched Baby Sleep Trainer. For the first few years, I never expected my business to be anything other than a short-lived fad, and yet here we are 5 years later, with a team working on social media, a book, a video training series, and more. I work more than full time – both at home doing video consults and managing the expansion of my brand – and in the afternoons, evenings, and early mornings by fielding near-constant texts seeking support from my clients. It’s hard, it’s a hell of a lot of work, but I feel I have achieved an elusive balance of work and family because when my children are physically present with me I will only text clients back – I generally avoid phone calls, emails, and video conferences to the extent possible so that on weekdays from 3 pm to 7 pm I can focus entirely on caring for my kids. It’s been a long road, it hasn’t always been this way, but I’ve managed to create a pretty good system for dealing with being my kid’s primary caretaker and working full-time. Contrast that with a few of my clients who express their working mom guilt. One client is a physician in a rural area of the US. She expressed guilt simply because her hours are so long, and when she is on call, her patients must come first. Her support system is wonderful and robust, but the hours are extensive and when she works, she has to be fully focused on her patients, no matter what is going on at home or who is caring for her children. Another client discussed her near-constant working mom guilt and how it simply comes down to the fact that her child is her number one priority. She must work for financial reasons and while she enjoys her job and often finds it fulfilling, her guilt lies not only in missing the day-to-day, small milestones, but in the fact that she feels her child does not sleep well at daycare and that she perhaps gets sick with more frequency than if her child were at home. She feels her child must deal with these issues because she has to work. I’ve spent some time thinking about the common threads here and how to understand why some mothers experience working mom guilt, why others don’t, and why in most cases our male parental counterparts seem free of the guilt that comes along with not being physically present with our kids. I confess, I’ve struggled to articulate why exactly some women suffer with guilt at needing to work outside the home, and why others are grateful for the opportunity to do so. I believe it ultimately comes down to preferences. Some women, or perhaps most American women, appear to have a strong preference that they be their child’s primary physical caretaker. For a long and varied list of reasons, they feel most at peace and comfortable when they are primarily responsible for the day-to-day care of their kids. For some reason, there are many other women who love their children and are deeply committed to raising them in the best way possible, yet do not feel compelled to stay home full-time. Even when I read this paragraph back to myself, I cringe at thinking how I might upset either contingent – the stay-at-home-moms, the moms who work but wished they stayed at home, the moms who stay at home but WISHED they worked full-time, and on and on and on. And at it’s core, that’s why I chose to write this piece. Many of the moms I speak to express how hard they work to make sure the time they spend with their children is high quality, and some have stated how they have reduced their workload to the extent possible (even just at first) to enable them to be home with their kids for several hours each week. In my experience as a working mother, and in working with hundreds of other working moms, I can say wholeheartedly that none of these women’s children are worse off due to their mother not being a full-time, stay-at-home-parent. Not only are these mothers able to materially provide for their children, but they are also able to provide an example for their children of how to balance all of life’s priorities, even if they have to make sacrifices in order to do so. I always remember that guilt is useless and a waste of one’s time unless it can directly be attributed to a purposeful harm one has committed. At the end of the day, all parents should remember that studies have shown that there are many factors that matter more than just how much time we’ve physically spent with our children. Every working mother I’ve ever encountered works hard to love and care for her kid in every possible way, and I hope that we can all make a special point in remembering to support and love another and ourselves, regardless of our circumstances.